My Series : Words of Significance. Trust. Trust is part of Respect. Hidden necessary truth deliberately and systematically create lack of Trust. Revealing secrets, may or may not bring Trust back. 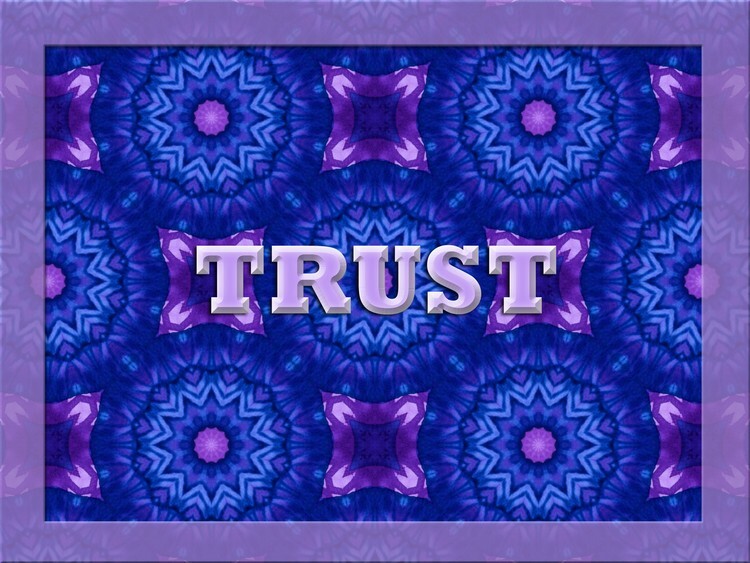 TRUST, The base and basic to all good relationship. Who will bring trust back ? Artist Reply: Thank you, my friend over there . Kind regards. Lovely design and words dear Nira.. Wonderful colours, they fit very well to the text.